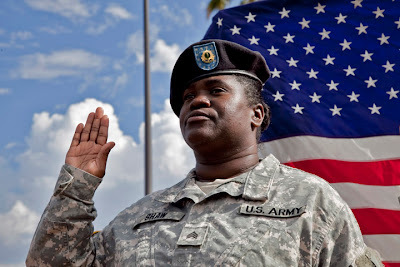 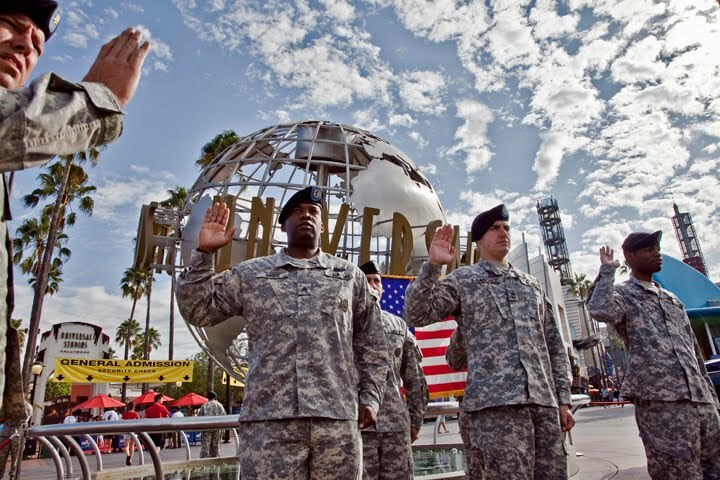 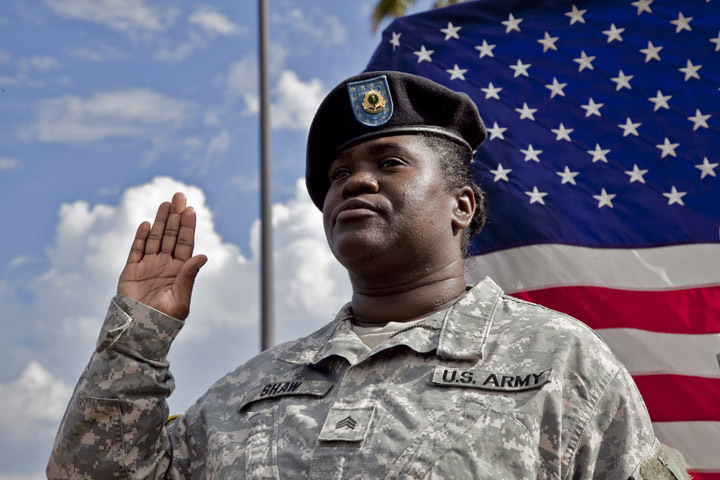 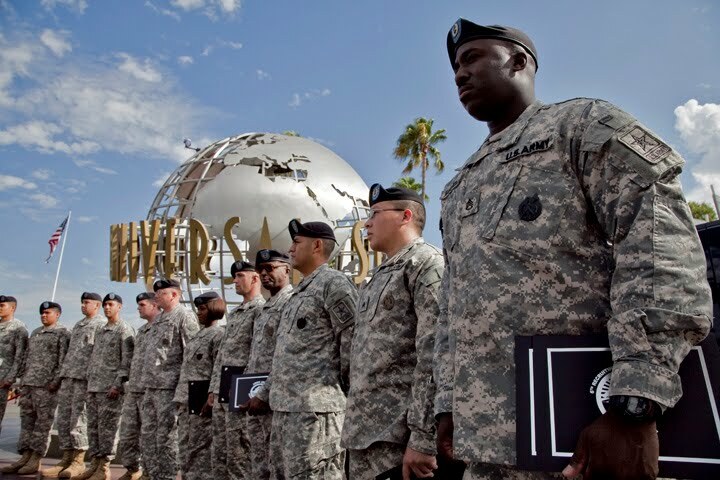 21 members of the Army re-enlisted in front of the Universal Studios theme park. 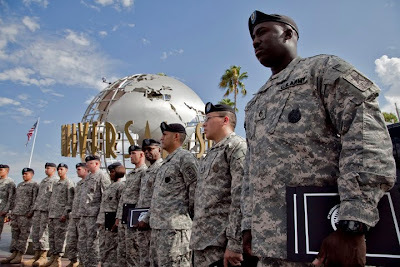 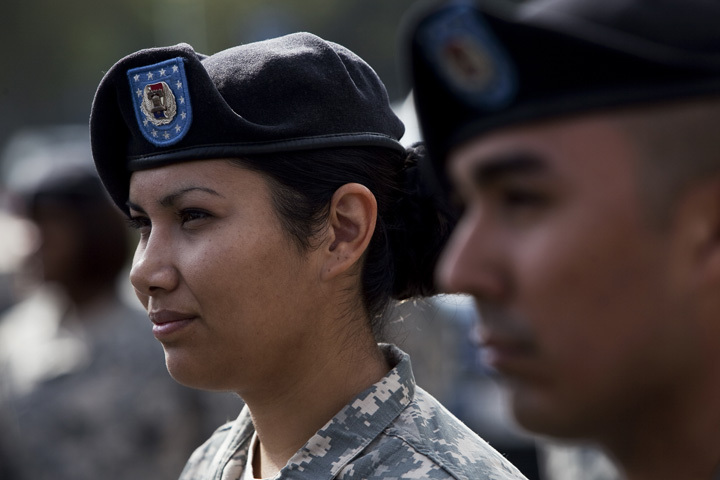 The ceremony for the L.A. based soldiers was held next to the Global fountain at the theme park. 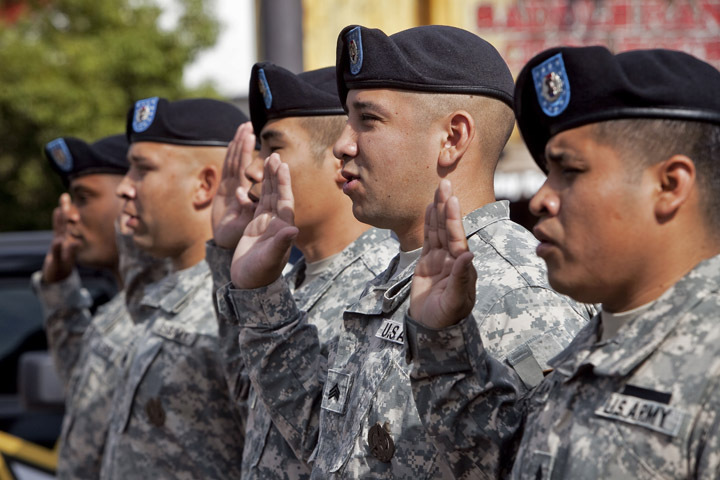 Lt. Col. Robert Blankenship swore in the the soldiers, many of them chose to re-enlist indefinitely. Rally To Restore Sanity In L.A.
Rainy Day in Downtown L.A.
Brown, Newsom, and Clinton Rally At U.C.L.A.